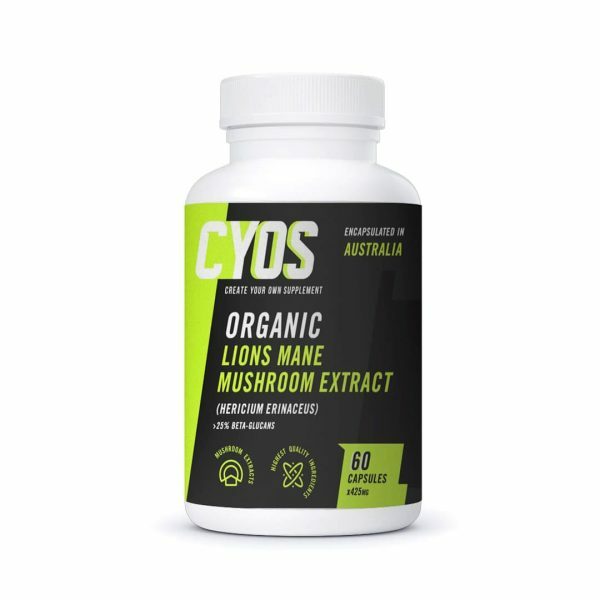 Lions Mane Mushroom is a Nootropic mushroom extract. As a dietary supplement take up to two capsules daily, or as directed by your medical professional. Each capsule contains 400mg of Nammex Certified Organic Lions Mane Mushroom Extract (>25% Beta-Glucans). Vegetarian capsules used. Free of sugar, soy, dairy, yeast, gluten, corn, fillers and additives. Encapsulated in Australia using imported ingredients. Store in a cool, dark and dry place. Keep away from direct sunlight and heat. Not suitable for children or pregnant women. Should only be used under medical or dietic supervision. This product is not a sole source of nutrition and should be consumed in conjunction with a nutritious diet and appropriate physical training or exercise program. Keep out of reach of children. 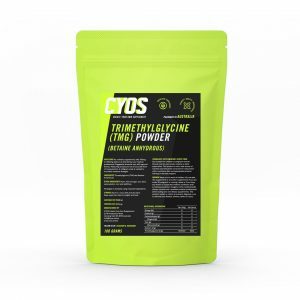 Do not take this supplement or any other supplements if you are under 18, pregnant or nursing a baby or if you have any known or suspected medical conditions and/ or taking prescription drug(s) or other medication(s). Always consult with a qualified medical professional before taking any new dietary supplements. This product makes no claims to prevent, diagnose, cure or alleviate any disease, ailment, defect or injury.